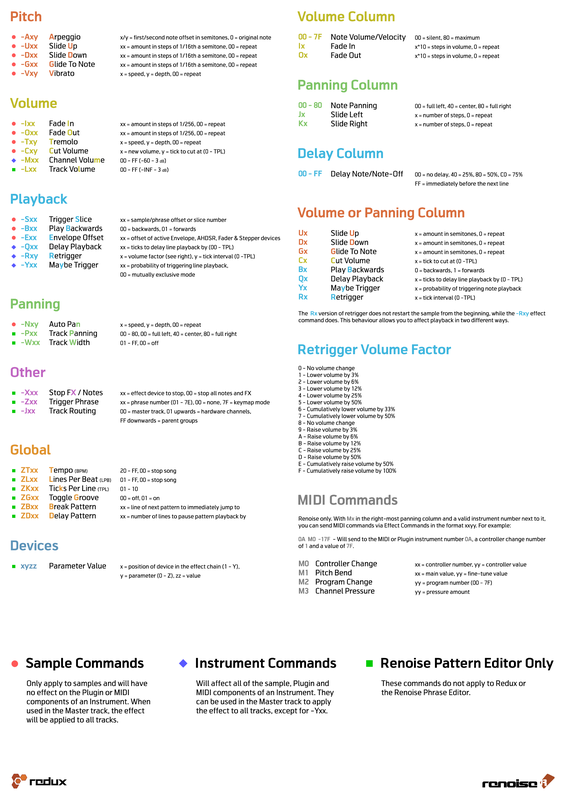 Welcome to the interactive user manual for Renoise and its plugin sibling, Redux. Both programs provide many features for performing a wide variety of tasks in music and sound creation. This manual will help you to understand how everything works by explaining all aspects of Renoise and Redux in detail. You can use the column to the left to look through the list of topics or use the search function above it to find something specific. If you're a complete beginner, it's recommended to start with the Introduction To Renoise and Introduction To Redux sections. If you have any questions or suggestions, then please don't hesitate to contact us. If you prefer to learn by video then take a look at our Youtube channel, which features videos on a variety of topics, including a tutorial series for complete beginners. Alternatively, you can check out the Quickstart Guides for Redux and Renoise. These PDF guides briefly explain the main concepts of Redux/Renoise and are recommended for those who are already familiar with other music applications. Copyright © 2019 by the Renoise authors. All rights reserved. All other product and company names are registered trademarks of their respective owners. 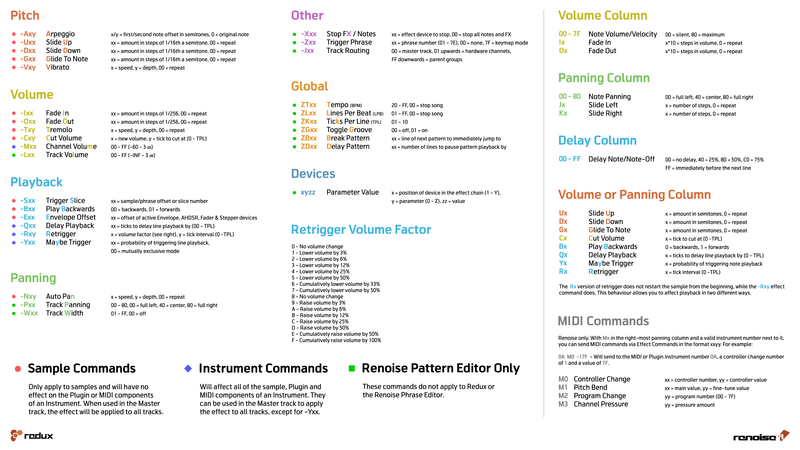 The Renoise User Manual was created by Duncan Hemingway [Achenar], Vincent Voois [vV], Sato Takashi [sato], Dac Chartrand [Conner_BW], Eduard Müller [taktik] and Erik Jälevik [sharevari].